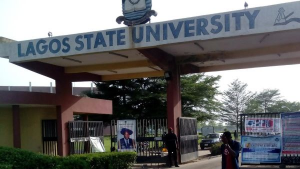 The Management is in receipt of a petition signed by a number of members of ASUU-LASU which alleged that Dr. Isaac Oyewunmi is still part of those presently operating the Bank Account of ASUU-LASU despite being a staff of another Institution. Further, that both Dr. Oyewunmi and Dr. Adeyemi-Suenu have illegally been collecting monthly allowance of N50,000 (Fifty Thousand Naira) each from the general monthly deductions of members of ASUU-LASU. The petitioners further alleged that the Management is acting in concert with the Executive of ASUU-LASU to defraud members of ASUU-LASU.